H: 4 ft. 2 in. x W: 25 in. x D: 25 in. 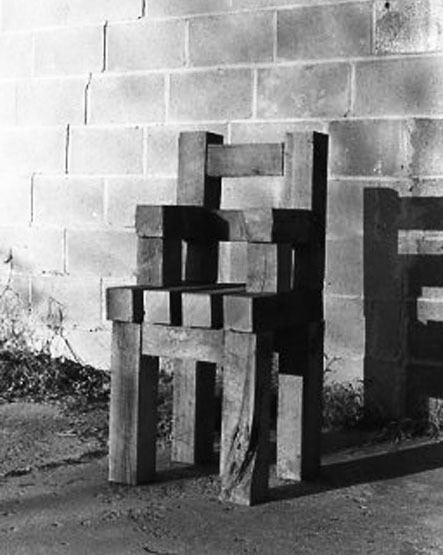 The idea for this chair was to confound the idea of furniture. The overall size of the chair is large and compelling, but because of the the large material size--5”x5” oak planks, there are only 8” between the armrests making the seat useless. A friend came to my studio, liked the chair, and tried to sit in it. Unfortunately, he didn’t fit.